A native Texan, April McGlynn graduated from UNT in 2003 with a BS in Merchandising and a minor in Business. Having spent the last 13 years in corporate marketing and advertising, April embarked on a new path in 2016 and became a small business owner, partnering with Steve Martin & Michelle Vardeman (owners of CBW Dallas High Five) to open Camp Bow Wow Plano. 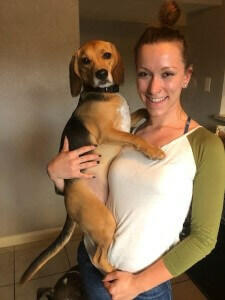 A life-long dog lover, April first discovered Camp Bow Wow when she took her own pups to CBW Coppell. Both Great Danes, Dax (pictured) and Lexi loved the spacious, open, all-day-play environment while their mom spent long hours at the office. 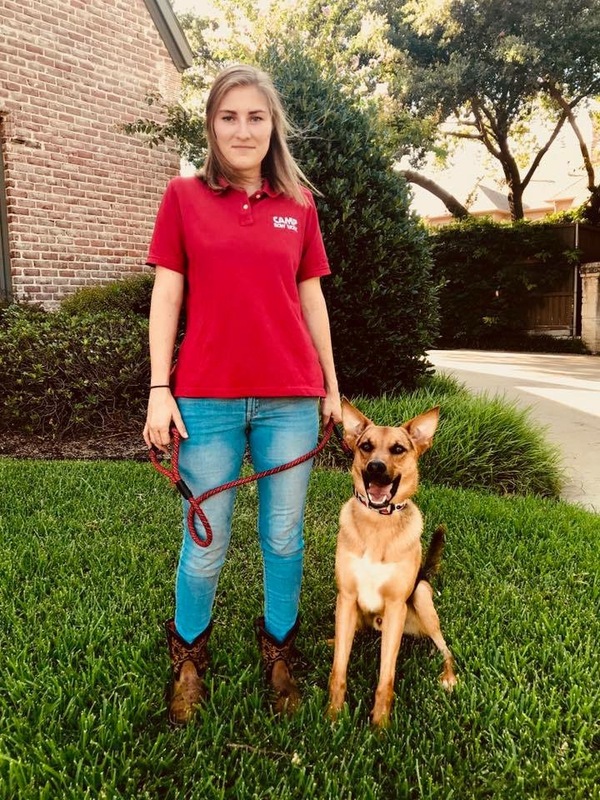 Over time, April's relationship with the Camp's owners grew and she became invested in the premier Camp Bow Wow business model: "It was so great to be able to leave my only kids with people I knew and trusted to take special care of them." 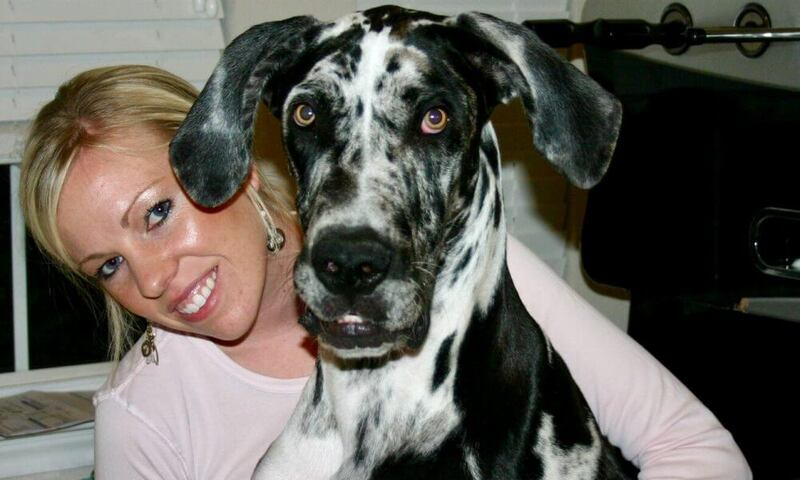 Pictured here with her first fur-baby, a harlequin Great Dane named Dax, April lives in Plano with Lexi and Ranger, a Dobi. She enjoys travel, wine, fitness, and most of all, DOGS! What I love most about my job: All the amazing dogs I get to meet and spend my day with, and the awesome pet parents who trust us with their fur babies! What I love most about my job: My favorite part of my job is knowing hundreds of dogs on a first name basis and having the opportunity to become their friend. Dani is an avid animal lover and has been working closely with dogs, in various capacities, since 2012. Dani attended CATCH Canine Trainers Academy, where she earned the title of Certified Dog Trainer (CCDT). 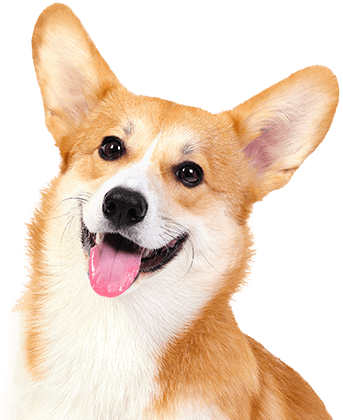 Dani believes in stress-free methodologies within an entirely rewards-based program to help you and your dog achieve the healthiest and happiest life possible. When she is not training dogs, she can be found practicing kung fu, studying history, or hiking with her three dogs, Thor, Loki, and Reginn. She also enjoys Norse Mythology and traveling.